Low impact workout that engages all major muscle groups; work legs, core and arms with a smooth, high calorie-burning motion. Track your progress with real-time reliable data; the Performance Monitor 5 (included) self-calibrates for comparable results; connect wirelessly to heart rate belts and apps (not included). Separates easily into two pieces for storage; caster wheels make it mobile; easy to assemble with only eight screws. Space recommended for use is 9 x 4 feet; 500-pound user capacity; 5-year frame warranty included. 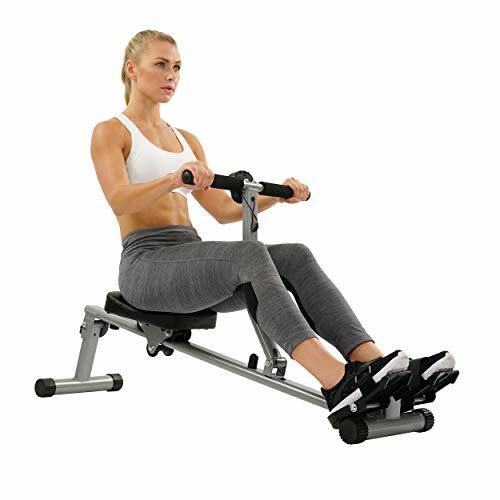 Trac Your Progress Perfect for the fit-focused who have more motivation than workout space, the Stamina BodyTrac Glider is the compact, portable rowing machine that fits into any area and easily stands on end for storing between workouts. 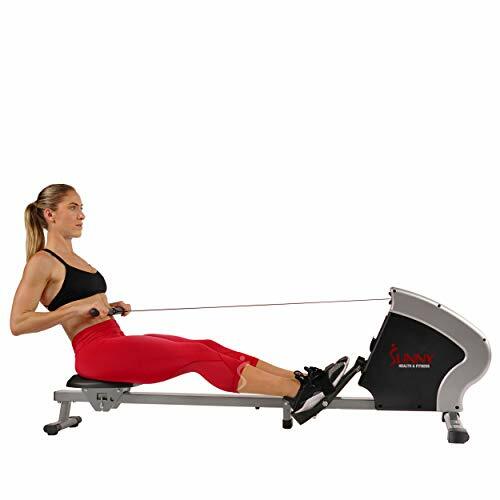 The BodyTrac Glider features full-range-of-motion rowing arms to allow a natural rowing movement, optimizing the proven benefits rowing provides the entire body. 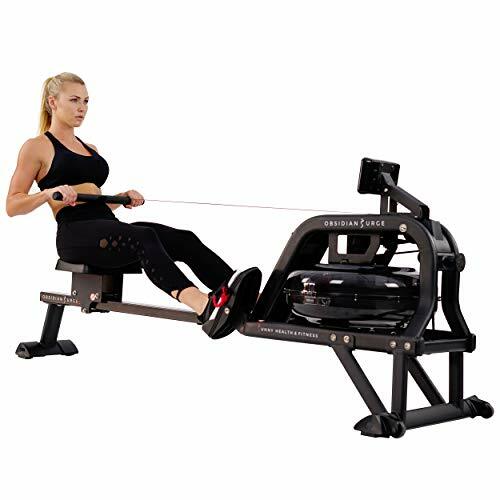 Because rowing is an incredibly efficient, low-impact aerobic exercise that naturally targets major muscle groups, the 23.5" x 46" BodyTrac Glider lets you strengthen and tighten your back, legs, arms, abdominals and glutes using a single machine. The Body Trac Glider folds up for easy storage in a closet. Rowing provides an efficient, effective, low-impact workout that utilizes all the major muscle groups, including the back, legs, arms, abdominals and buttocks. It is also one of the best exercises for building a strong back, as well as one of the most effective low-impact aerobic exercises for increasing your metabolism. As a result, you can efficiently burn calories and fat without impacting your joints. 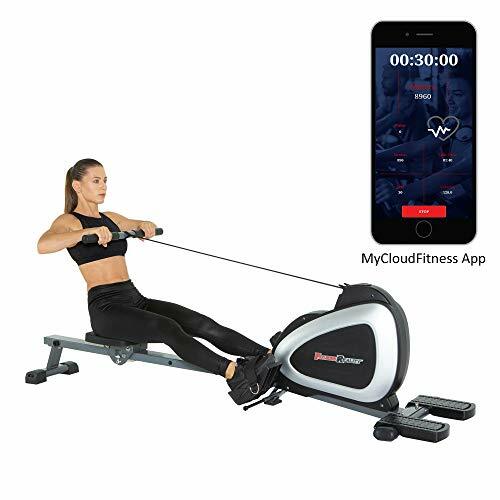 In addition, the rower includes a multifunction fitness monitor that tracks your workout time, stroke count, and calories burned during your workout, along with the total strokes you've accumulated since owing the machine. The monitor displays each data point for six seconds before rotating to the next. 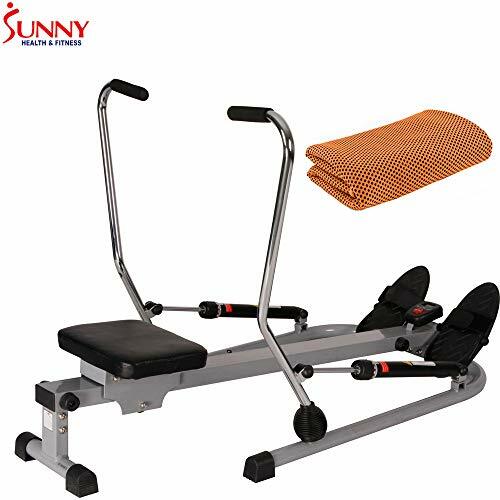 Other features include gas shock resistance, a manual resistance control knob, a comfortable molded and padded seat, and a capacity of 250 pounds. The Body Trac Glider--which folds up for easy storage in a closet or corner--carries a one-year warranty on the frame and a 90-day warranty on parts. Get a top quality product for a top quality workout. 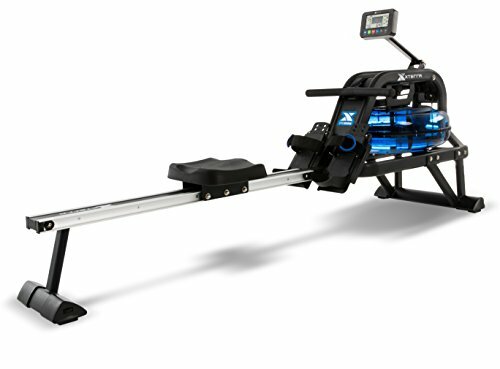 The Obsidian Surge 500 Water Rower will keep your workouts engaging and challenging. Studies have indicated rowing can work up to 85% of the body s muscular system without the joint impact of other conventional cardio exercises. This in turn results in higher calorie expenditature in a shorter period of time. 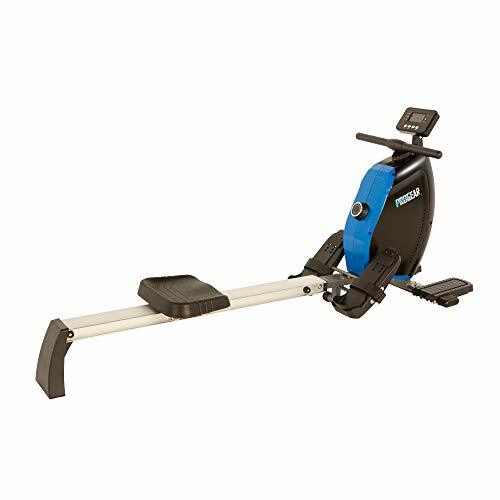 Elevate your workout and be more efficient with the Obsidian Surge 500 Water Rower. DESIGN: 16 Hydro Blades mimic the dynamic movements of competitive rowing. Non- slip HD handle bar is sweat resistant and wide enough to accommodate different hand widths. FITNESS TECHNOLOGY: The R2 Fitness Meter is designed to accurately track all essential workout metrics i.e. Total Time, 500 m Time, SPM, Total Strokes, Calories, HR, Ambient Temperature, and more. EASY STORAGE: High density non-marking rubber wheels perfect for easy transport and store upright when not in use. Recommended to be placed upright against the wall for storage. FITNESS REALITY. Real People. Real Results. 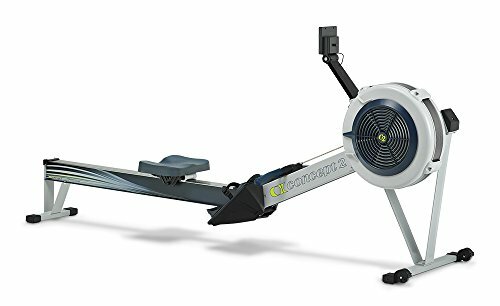 Enjoy your workout with Fitness Reality 1000 Plus Rower without leaving your home! The FITNESS REALITY 1000 PLUS has a large 3.5 LCD display, 14 levels of magnetic resistance, and a large cushioned seat will keep you comfortable throughout your workout sessions. In addition, front stabilizer foot pads allows for additional exercises such as curls, bent over rows, front raises, and more. With the free MyCloudFitness app you have the ability to set workout goals, track your workouts, and more. 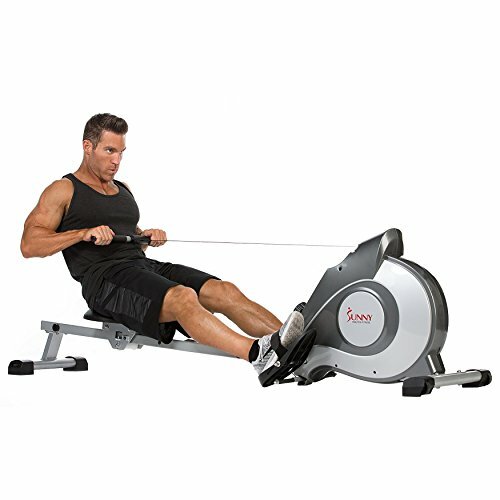 So train hard and get the results you want with the FITNESS REALITY 1000 PLUS Bluetooth Magnetic Rower. Target your glutes, quadriceps, and hamstrings with the SA022 Squat Assist by EFITMENT. 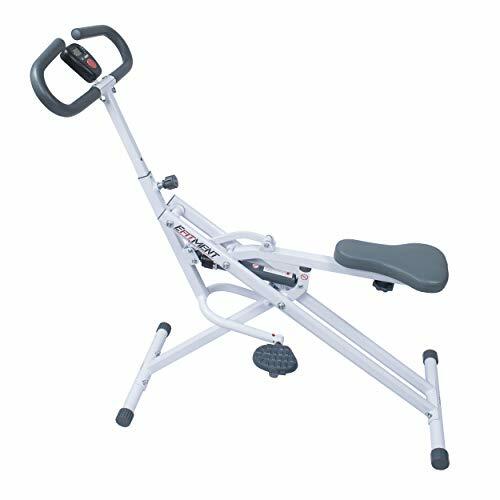 This assisted bodyweight machine has two-way adjustable handlebars with anti-slip padding, a two-way adjustable seat, and wide textured pedals for optimal comfort. For even more stability, adjust the end cap levelers to achieve optimal balance on any home surface. 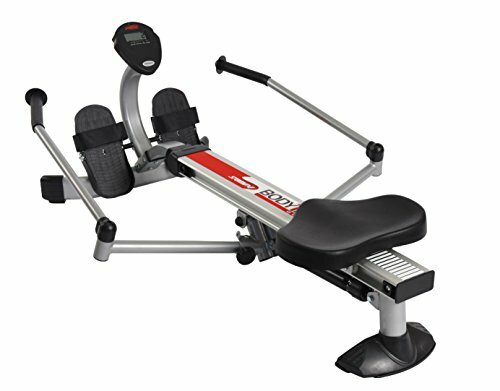 Use this machine to improve your total body strength and function. This product offers a great solution for those looking to increase their hip mobility and balance by strengthening muscles around your leg joints. Squat safely and confidently as you tone muscles in your upper and lower body while staying in proper form to prevent injury. 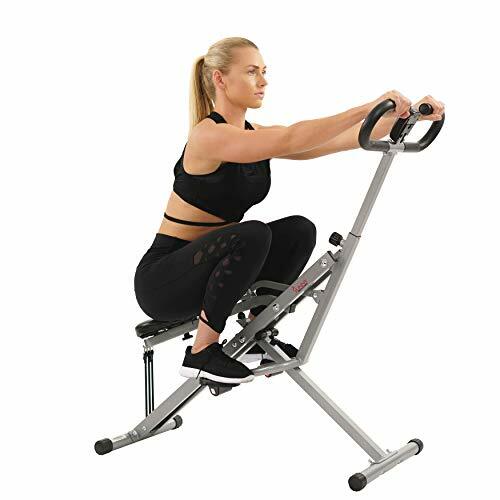 Step on to the pivoting foot pedals that support a wide range of motion, which makes it more comfortable to squat on the machine. Take advantage of the durable metal frame that can support up to 220lbs. Dismount the squat machine to safely adjust the 12 levels of hydraulic-powered resistance. Use the LCD monitor to track your essential workout data, including total time, squat count, and calories burned. 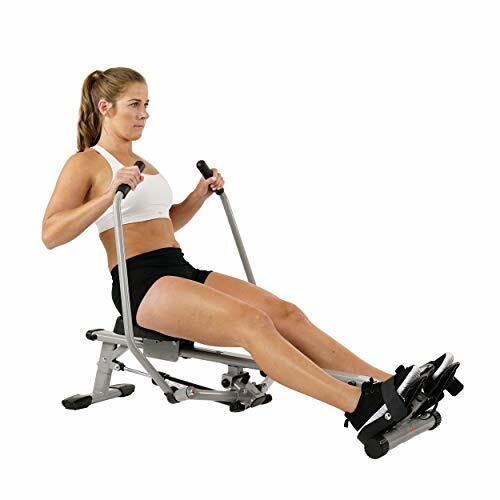 - Warning: The hydraulic cylinder on this rower is designed to be used up to 20 minutes per exercise session. Allow at least 20 minutes in between sessions for the hydraulic cylinder to properly cool down. - Caution: Hydraulic cylinder can generate excessive heat after long periods of use, making it unsafe to touch. Allow the cylinder to cool before moving the rower. 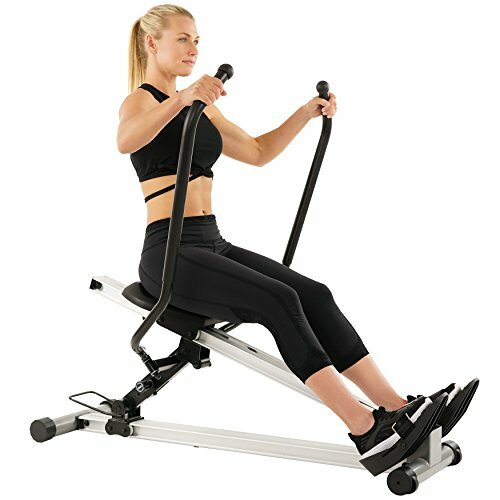 ASSISTED SQUAT MOTION: This machine supports you as you perform a controlled squat motion (14.37 inches) against hydraulic resistance. This movement targets muscles in your lower body and shoulders as you perform controlled squats. OPTIMAL STABILITY: Increase your stability with the wide pivoting pedals, two-way adjustable seat, and two-way adjustable handle bars with anti-slip grip. Take advantage of the end cap levelers keep machine grounded on a variety of home surfaces. PERFORMANCE DISPLAY: Keep track of vital workout information during your exercise session. Track total time, squat count, and calories burned. STURDY DESIGN: This squat assist machine is made out of heavy-duty metal can support a maximum user weight of 220lbs. After your workout, fold the squat assist to save space. [FULL BODY WORKOUT]: Full body low impact workout targets forearms, biceps, triceps, shoulders, legs, thighs and more with additional exercises. Slide rail length/inseam: 38.5". Recommended user height: 4'9" - 6'4"